Cosmo-Sport Becomes Dealer for Racelogic VBOX Video Data & Video Systems — Cosmo-Sport, Inc.
Cosmo-Sport is happy to announce a partnership with Racelogic Motorsport - North America to become an official dealer of the popular VBOX Motorsport data acquisition & video systems. Racelogic's latest camera system, the VBOX Video HD2, is designed to be simple, yet powerful enough to satisfy the highest level of motorsport teams. 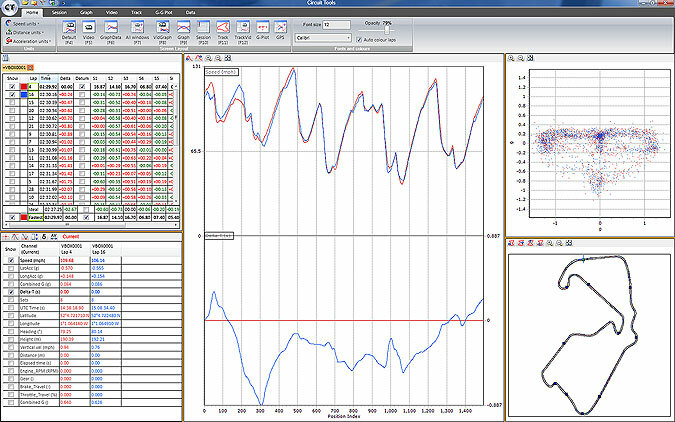 Circuit Tools is a very powerful analysis software that comes with all data logging enabled VBOXs. The software is designed to automate many tasks and quickly present a driver with the crucial information required to improve lap times. Circuit Tools is now compatible with Windows, macOS and iOS devices. "The VBOX Video HD2 System is one of the best performance analysis data acquisition systems in the motorsports industry today," said Guy Cosmo, professional racing driver and President of Cosmo-Sport, Inc. "Having used the system myself while coaching drivers of all experience levels in various series around the world, I know first-hand the level of quality and superior features that Racelogic has put into these VBOX systems." "With their latest product, the VBOX Video HD2 you've got the ability to review video side-by-side in stunning HD along with a number of must-have tools for proper driver training found in their analysis software, Circuit Tools. I'm proud to be representing Racelogic Motorsport - North America as an ambassador and to now offer the VBOX Motorsport data & video systems for sale through Cosmo-Sport and our online store at www.cosmo-sport.com." Incorporated in 2007, Cosmo-Sport began as an extension of the high-level driver training and coaching services Guy Cosmo offered along-side his professional racing career. Cosmo-Sport then branched out to host exclusive track day driving events in South Florida and opened a retail department offering motorsports equipment and coaching tools for drivers and coaches alike. Today Cosmo-Sport provides turn-key track day driving events for Ferrari-Maserati of Palm Beach, Lamborghini Palm Beach, Lou La Vie and other luxury and exotic car dealerships as well as offering an elite driver training service in the racing world led by Guy Cosmo, as well as full motorsports consulting and operational services. Visit Cosmo-Sport at www.cosmo-sport.com. Graphics are overlaid in real time – also in high definition. With the high resolution afforded by the 1080p output, this gives the user great scope for fantastic dashboard and gauge layouts. The graphics are fully customizable but several default scenes are available. To aid in setting up, an app for Android and iOS devices connects via the VBOX Video’s inbuilt WiFi to aid in getting the view just right, with real time camera output being displayed on the mobile device’s screen. The app also features some elements of the system setup for absolute convenience.